Crowborough Caves. 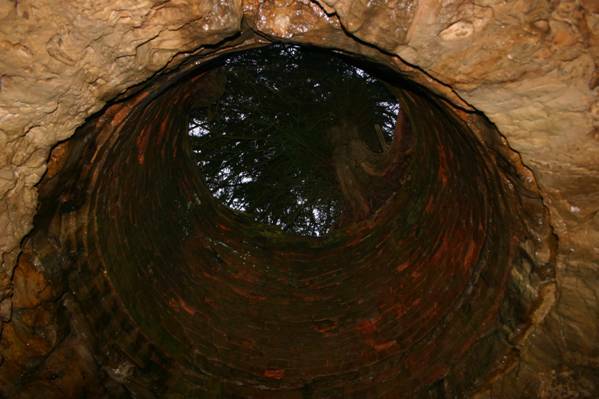 This web page documents all the latest reports about this famous but controversial grotto. Ashdown Forest's popular point of interest for East Sussex Tourists. Crowborough Caves Diary. The caves continue to be very popular with more people this year, the exploration of the network of caves continues to find more links. Click here to view Issue 18 of Crowborough Caves Chronicles. Also see Issue 13, Issue 14 (not available), Issue 15, Issue 16 and Issue 17.
well "Try It For Yourself", go to the link here. Thanks to the local Tullis Explorers and Crowborough Scout Group for their continuing support and help with the cave maintenance. Martyn Everitt maintains this web site and he also tutors Maths and Science see 1c.org.uk for more information. The installation of the Photovolcaic Solar Panels in the cave roof have not been quite as successful as anticipated although the feed in tariff is good. When each visitor shines their torch upwards we generate about 1mW! By carbon dating we have proved the caves are 100,000 years old +/- 3 years in 2016 and therefore all our supporters raised a glass to celibate this centi-millennium anniversary. May everyone's glass be full and 2016 be a fantastic memorable year. 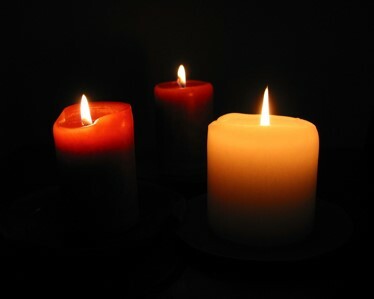 The third Candle has made all the difference. The Crowborough Scouts have been asked not to deliver Christmas Cards to the caves as no one really lives here. If you check with the electoral role there is no one registered as living there. While it is true there is running water there are not really any convenient facilities. So this would not be at all suitable place for a bunch of people to live, would it! So none of the rumours are true. And none of the people who do not live there would admit it anyway. which we found at the entrance. The nodules were greatly valued by the foolish pyrites. I cannot thank you enough for the education I am receiving via your website and newsletters. "There are some tunnels in Crowborough on Ashdown Forest - I know because I've been down some of them. They were built during the first world war by sappers as part of their training. You can still see the remains of entrances but most have collapsed now. Just south of the A26 at Poundgate not far from Old Toll Cottage (which is where my father lived)." Thanks Hamster for this contribution. Nancy Bellis has been banned from doing some artistic shots in the caves for her Friends' charity calendar. The Cave Committee (or at least the members that are still alive) would like to clarify the rules for the latest extreme activity. "Yes tractors are allowed in Crowborough Caves, so long as they are pedal powered, motorised ones are not allowed for obvious reasons (i.e. too loud). Also you would have to carry the tractor to the entrance because pedal powered vehicles are banned on Ashdown Forest." Readers will be pleased to know the woodland around the caves is part of the Ashdown Forest which is looked after by the Ashdown Conservators and therefore is not going to be sold by the Government. Unfortunately access to the site is still restricted, with Bicycles being prohibited, although you can ride your horse there if you have one! These young members are now know as Cavelets and not as previously, Grottos. The most popular game they play is hide and seek. 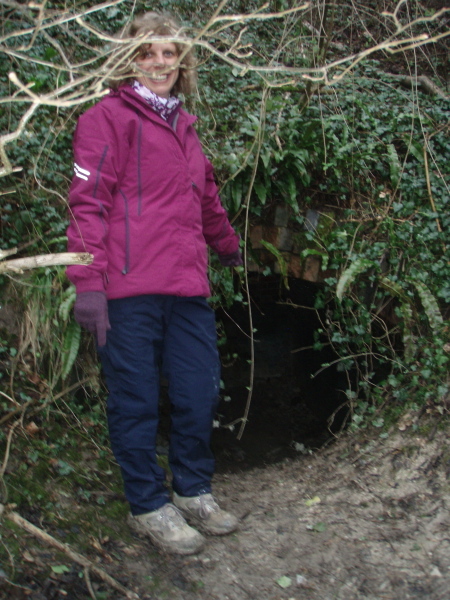 Our intrepid investigator Nikki Small has found out that there used to be a lot of smugglers in the Crowborough area back in ye olde days and they also used the caves. 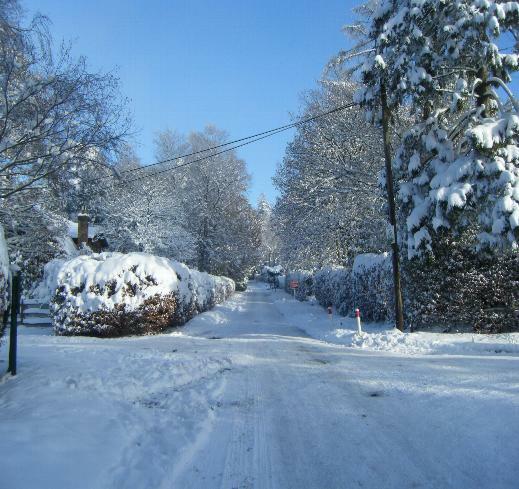 SALT stocks are under less strain in East Sussex due to "Super Salt"
The county council this week said it had enough grit for main roads, but it was competing with other highways authorities for refills. 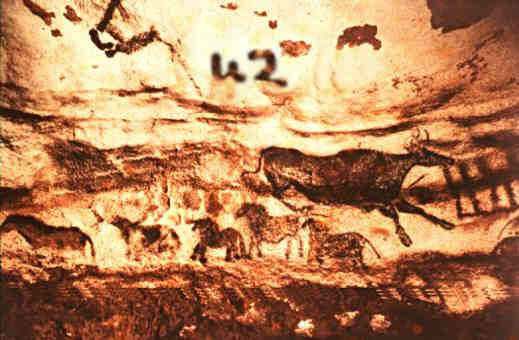 Crowborough Council has been able to replenish their from the local caves and have thanked the conservators cooperation in allowing the extraction of 23.7 M tonnes. The unusual composition consisting of Bromide (Br-) 30.19%, Chloride (Cl-) 25.03%, Sodium (Na+) 20.59%, Sulfate (SO42-) 17.68%, Magnesium (Mg2+) 3.68%, Calcium (Ca2+) 1.18%, Potassium (K+) 1.11%, Bicarbonate (HCO3-) 0.41%, Borate (BO33-) 0.08%, Strontiumum (Sr2+) 0.04% and everything else 0.01%, has given it the nick name "Super Salt" as it is especially good at melting snow. taken at 8:20 on 21 December 2010. The temperature in the cave remains at 12°C all year around, therefore it is haven for the local Ashdown Forest wild life, we installed a large number of cameras in the cave using the latest technology (as seen on the BBC's Autumnwatch!) See the below amazing images. A labyrinth of caves run through the hillside around Crowborough, which are long forgotten to even the keenest local geologists. 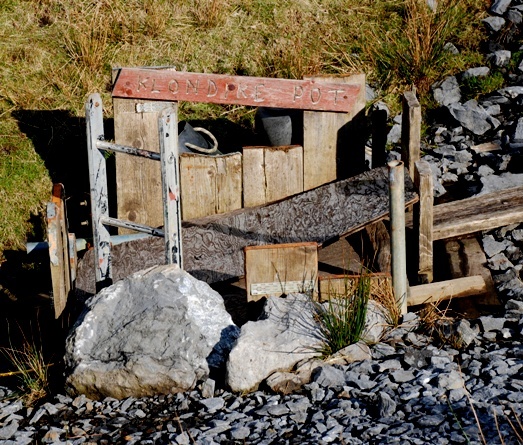 Thanks to rising water table, many are inaccessible"
The urban myth lives on! " Cutbacks to Council Budgets has resulted in the Rock Festival being postponed. Many of the Crowborough Bands continue to practice with rehearsals on Tuesday evenings, our thanks to Paul for all his support. Nigella's rock cakes have been put back in the fridge for next year. I was shocked and angry that you allowed the rumour about the Earthquake to be published, it gave me much unnecessary anxiety and anguish. I hope this is a temporary editorial lapse as your reports are normally such a high standard of accuracy and integrity. Mrs. Trellis Did Crowborough's prehistoric painters really paint 42? We leave it to you to judge! Grant heard a rumbling rumour that following Saturday's 4.3 earthquake that a rock fall has blocked off the cave entrance. Dr. Southon was pleased to report this is misinformation. There appears to be no damage to the caves. Everyone's quite relieved. Cave in Vein; as the web site is jam packed with heavy scientific research it was felt appropriate to add a page in a lighter vein. Leo's valuable contributions have now earned him enough brownie points to be given free membership of “SaS” for the next hundred years (not-transferable and non-resignable). Membership of “SaS” for the next hundred years (not-transferable and non-resignable). Would anyone like to document the societies rules in order to pacify Leo's below concerns. "Not transferable I understand, but 'non-resignable' sounds like a hole new ball game (pun intended, sorry). Can you advise on taking out liability insurance against being an involuntary octogenarian member of the Society in thirty years time when I've forgotten what I let myself in for and the SaS is faced with claims for people who become lost in the unchartered passages? If the Society is going to impose such obligations on its members then it also needs to publish some Terms and Conditions which limit the associated liabilities (incorporating a risk assessment for venturing into the caves before they have formally been declared open). 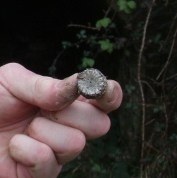 Are Crowborough Caves man made? High Hurstwood cave (4 miles South East of Crowborough) is thought to be man made (see the below article), this cave has a strikingly similarity to the Crowborough Cave chamber that is nicknamed "The Living Room". This does pose the possibility that Crowborough Caves are actually man made! I'm sure we will have more investigation into this in the next few weeks. ‘It is uncertain when the partly artificial caves known locally as the hermitage were made or inhabited, but there can be little doubt but that they were the habitation of an anchorite or Hermit at some remote age. They now lie within the parish of High Hurstwood, but of course were then in the parish of Buxted. There are three principal rooms carved out of the rock, connected with each other by passages which were once secured by doors, having strong posts and cross bars, the mortices of which are still visible. The main rooms or caves were very large, one extending some twenty-four feet by eighteen feet, with a height of twelve feet. This was floored, the bearings of the joists being still plainly to be seen. A flight of steps gives access in one corner to a small cellar underneath: the fireplace, with a chimney cut through the solid rock... Another room measures twenty-seven feet by sixteen feet; and this has a pointed archway, over which is a niche for an image of a saint or crucifix.’ Full article here. If you would like to receive the regular newsletter then send an email to caves@1c.org.uk and we will include you in our distribution. An Extensive advertisement campaign sponsored by the sister web site has put us on the map, (although you may have to look quite hard) did you see the entries in the free guide to Crowborough recently distributed. Prof. Chapman has reported finding a pre-humanoid skull. He has named it Crowborough Man, it shows remarkable similarity to the controversial Piltdown man, which was discovered in 1912, only 8 miles South West of Crowborough Caves. This is a remarkable coincidence. Say NO to Doubling Entrance Charges! It is proposed to double the Crowborough Cave entrance fee and we fully support the campaign to oppose this outrageous change. We are seeking the help of The Sun down the caves. There is nothing fundamentally wrong with the concept of linking nearby planets by underground means, and Professor Stephen Hawking, no less, has previously identified evidence of underground phenomena in space. 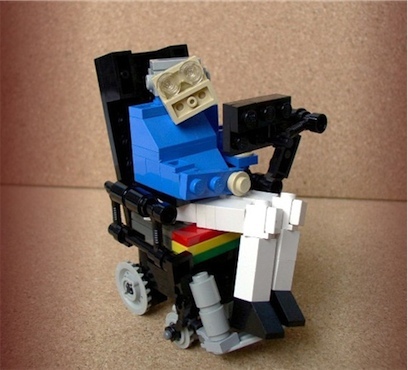 He has said (http://www.pbs.org/wnet/hawking/html/home.html) "I want you to share my excitement at the discoveries, past and present, which have revolutionized the way we think. From the Big Bang to black holes, from dark matter to a possible Big Crunch, our image of the universe today is full of strange sounding ideas, and remarkable truths". 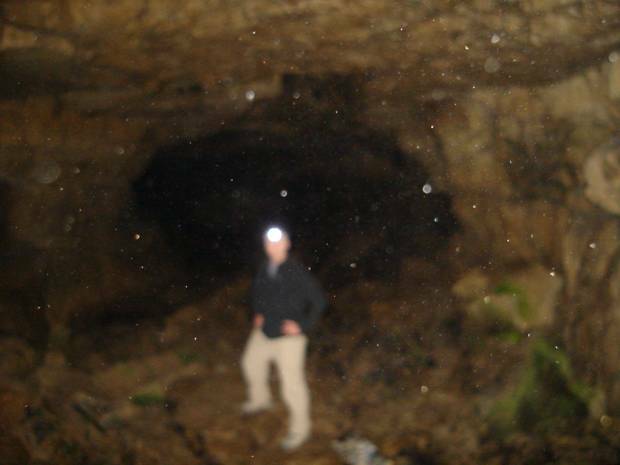 Anyone reading this quotation will immediately recognise what professor Hawking is on about ... the same descriptions (black holes, dark matter etc) have been applied to the Crowborough Caves (see photograph of darkness below) and Crunchie wrappers have also been discovered there. So it all makes sense up to that point (apart from the Twix thing, which perhaps was a case of mistaken identity). Where Polar Pete's hypothesis really begins to fall apart, however, is in his temperature evidence. OK, the polar regions of Mars are pretty dammed chilly, but the caves are likely to be distinctly warmer. As Pete himself points out, there are times when the two planets are on opposite sides of the sun. Under those conditions, the interconnecting passages would need to pass through the centre of the sun, which would impart a certain degree of warmth to the situation (in fact, about 6,000 degrees (C) of warmth, to be exact). Now, this does not necessarily imply that the inside temperature of the passages would be excessive. The laws of thermodynamics are such that, due to the massively increased length of the cave systems when the two planets are so far apart, the internal gasses would be forced to expand at those times, thereby creating the same kind of cooling effect as seen within the humble refrigerator. It should therefore be possible to pass through the central portion of the cave system (at least) without the need for air conditioning (or thermal underwear). Conversely, when the two planets move closer together, the resulting compression of internal gasses would create a warming effect that would counter the reduction in outside temperatures. It may therefore be concluded that the interconnecting passageways between Crowborough and Mars are equipped with a very sophisticated system of thermal regulation which should allow exploration to continue at almost any time of the year (except Wednesdays - early closing).! Dr Southon has also pointed out that the Martian caves now provides the first empirical evidence for the recently challenged "String Theory". You just tie one end down and the other comes loose, just ask any Boy Scout. I know you are going to believe this but whilst out walking on Ashdown Forest (near Crowborough) on Sunday 18th March I discovered another unexplored cave entrance, which on further investigation lead me to the Planet Mars polar regions (click here to read the BBC story and pictures). Nearby was a slightly smaller entrance and I'm convinced I could hear singing in the Valleys, which was all the evidence I needed to conclude that this must be the missing link in the interplanetary cave systems thereby linking the Crowborough Caves to the North Wales Cave systems, which by my calculation means that When Mars and Earth are close there is approximately 55 million kilometres (34 million miles) of almost virgin caves. However, when Mars and Earth are on opposite sides of the Sun, Mars can be more distant - up to 399 million kilometres (248 million miles) away so plenty of room for those ropes and not much chance of having to wait for a climb. 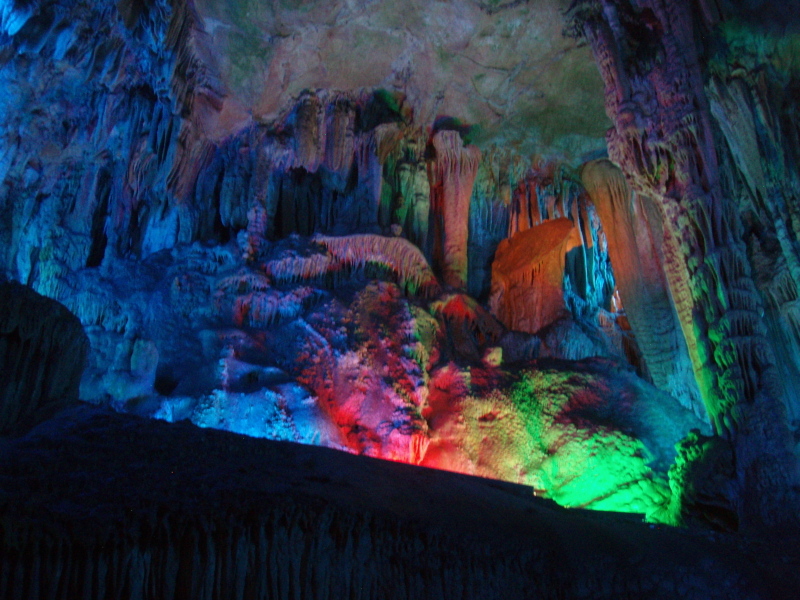 Incredibly the caves have been called the "Seven Sisters" and that surely proves the link! What is an even more amazing coincidence is that I actually prefer Twix which just happens to be another chocolate snack filled planet located nearby!! PS pack your thermals The temperature is typically about 210 Kelvins (-63 oC or -81 oF). However, the equatorial regions of Mars may occasionally reach temperatures of up to 10-20 oC (50-68 oF), while during the long polar nights the temperature falls to around -120 oC (-184 oF). Suffice it to say, it gets cold. Recent correspondence posted on this website by a certain Miss E. Veritt claimed that there was no link between the Crowborough Caves and the potholes and cave systems of the Yorkshire Three Peaks. 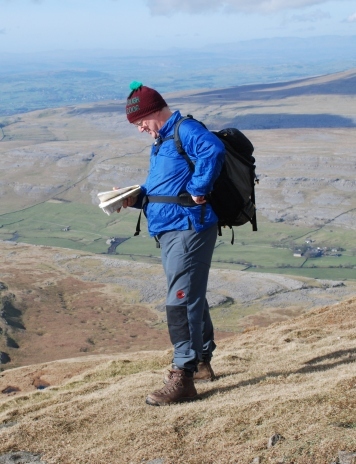 As a distinguished member of the Three Peaks reconnaissance mission (distinguished largely by grey hair and lack of fitness in scrambling up hills), I would like to point out the complete lack of scientific rigour in making such a sweeping generalisation on the basis of a single visit to that fascinating region. Firstly, Miss Veritt's hypothesis appears to stem largely from peering into a single pothole (Plate 1), pouring over maps (Plate 2) and/or from spending far too long underground in the emergency exit from an 1850s Californian gold mining prospect (Plate 3). Disregarding for a moment that the Klondyke Pot may in fact have concealed a time travelling device, there was no opportunity for Miss Veritt to investigate the full extent of the Ingleborough cave systems within the space of a single weekend. 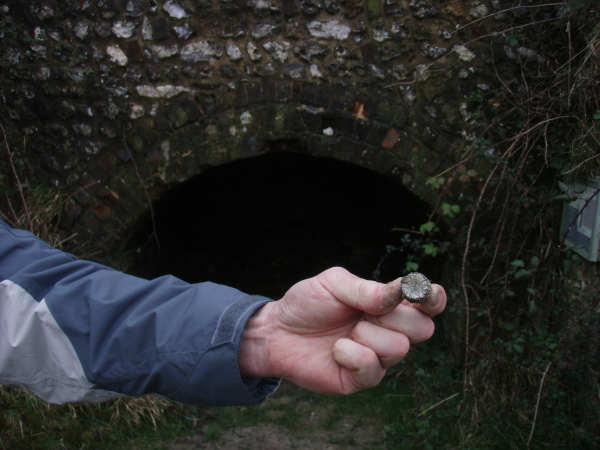 The possibility of a connection with the Crowborough Caves cannot therefore be dismissed so lightly. Secondly, it is a well established fact that rural areas such as North Yorkshire are experiencing a decline in population whilst in the south east of England the reverse is generally true. Given the degree of congestion experienced along the M1 and M25 it is quite implausible that this shift in population could have been achieved simply by conventional means of transportation. Far more logical is the suggestion put forward by the Thompson Twins that the Ingleborough potholes are directly connected to the Crowborough Caves (and quite possibly to the ancient sandstone rock shelters of Lake Wood in Uckfield, as well), thus allowing a far more rapid spread of population without the need for the Watford Gap service station. 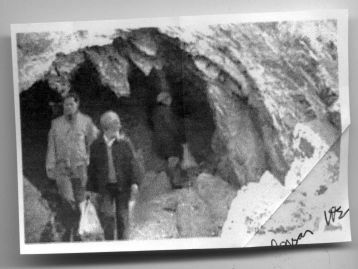 Thirdly, it is well established that Gaping Gill has modern day relatives in the seedier parts of Crowborough, and that elements of the Yorkshire dialect began to appear in Uckfield circa 1989 following the arrival of an outcast geologist. I submit, therefore, that there must be a connection between the Crowborough Caves and those of the West Riding of Yorkshire. 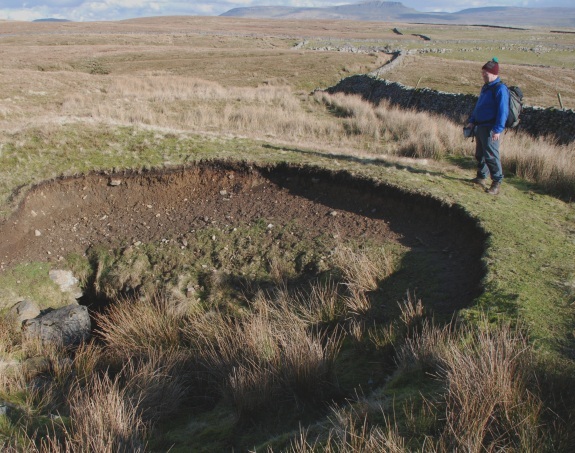 The recent leader reconnaissance of the 3 peaks in Yorkshire and pot holes did not reveal a link with the Crowborough caves. This is very surprising as this is the first underground system that did not interconnect. our roving reporters will keep you informed as the news breaks. A recent visit to the Crowborough cave has confirmed it is still dark in there. It has been again been possible to keep the entrance to the caves free. all of which have swelled over the years. This makes the Crowborough Squeeze even more challenging each year. The proposal to link up with Madam Twoswords to have a display of dinosaurs was exposed yesterday as a scam! They wanted to use the Crowborough caves to store waxworks of old rock groups like "Crash and Burn" and "Southon Rox". More amazing revelations from Prof. Chapman have revealed something very rare. Crowborough caves are made of clay and it is well known stalactites and stalagmites cannot form here. However the Prof. has found a few small nanomites and at the bottom of the Southon leg there is a pair of ladderedtites. Crowborough Caves have now won the prestigious award for being the least visited cave system in the UK (November 2006) as voted by the SaS members (Speleologists anonymous Society). The valuable contribution that the Crowborough Scouts had made was acknowledged in the citation. See the new Southon Blog at http://southon.blogspot.com/ Add your comments to this latest good news or start a new story. While some of the Crowborough Scouts were visiting our Dutch friends in Jan Campert, Maarssen (October 2006) we mentioned the recent developments in the Crowborough Cave links, to our amazement they knew of the extensive underground connections and they claimed they had found a link from the famous Maarssen tunnels. We will keep keep readers informed of developments. Click on this link for more information. Also, they are researching their Dutch traditional caving songs but so far most of the suggestions seem a bit wet. Stop de Pers: Terwijl sommige van de Crowborough Verkenners onze Nederlandse vrienden in Jan Campert bezochten, Maarssen (oktober 2006) vermeldden wij de recente ontwikkelingen in de Crowborough Hol schakels, naar onze verbazing zij wisten van de uitgebreide ondergrondse aansluitingen en zij beweerden dat zij een schakel van de bekende Maarssen tunnels hadden gevonden. Wij zullen bijhouden kost lezers informeerden van ontwikkelingen. Ook onderzoeken zij hun Nederlandse traditionele inzakkende liederen, maar tot nog toe meeste van de suggesties schijn een beetje bevochtigt. A Crowborough Caves hidden entrance was discovered while Southon Scout Troop was out on an evening wide game on the Ashdown Forest. We all climbed down inside the cavern. Unfortunately none of us could relocate the entrance the following day. 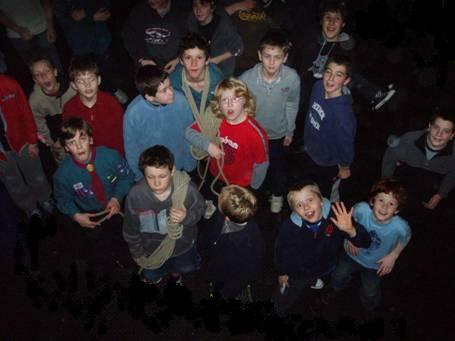 The Scouts rediscovery of the Crowborough Caves is now much talked about. We are currently planning another expedition on Ashdown Forest to the Crowborough caves. Unfortunately in order to restrict the numbers applying to join the expedition we have had to limit the applicants. We may well start our search at Friends Clump Ashdown Forest map. 1st Crowborough Scouts fully support the campaign for the cave re-opening, what is really scary is most tourist guides to Crowborough now refer to these caves as a famous tourist attraction. Whereas everyone knows Piglet's house and Owl's house are by far the biggest Crowborough attractions. With Pooh spotting being the most popular pass time, although there have not been any sightings for a few years. Rabbit and Eeyore are however frequently seen on Ashdown Forest especially near the enchanted place. The most popular children's activity in Crowborough (apart from scouting) is playing Pooh sticks, my advice to all participants is to bring your own supply of sticks as the trees near Pooh bridge are nearly bare. The annual Tigger shoot has been stopped for many years now due to an enthusiastic campaign by the RSPST (Royal Society for the Preservation of Stuffed Toys). You will be fascinated to read about one of my good friends experience, I attach his account unabridged so that you can judge for yourself. 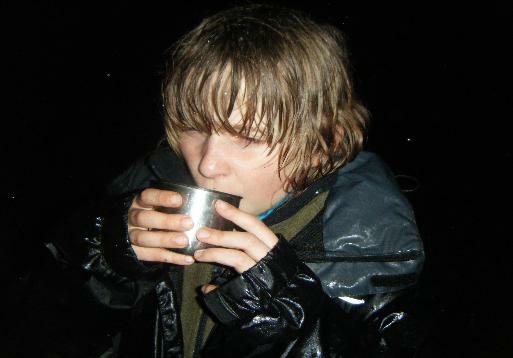 We had to tell you about our rock-climbing trip at Llangattock (nr Brecon) last weekend. (6-7th May 2006) Beneath the Carboniferous Limestone escarpment is the Mynydd Llangatwg cave complex which is one of the longest systems in the UK at around 80 miles long (imagine doing the Downsman underground on your knees!!!). Anyway we got a bit tired of climbing and decided to put our head torches on and had a peer into one of the caves. Dan bungled into me and the next thing we know we are in a pile on the floor. We walked and crawled for half an hour and to our surprise came out on Ashdown Forest. Now I only got an E grade in A-level Geology but I reckon the Llangatwg system must be connected with the Crowborough system. Imagine that - a shortcut to Brecon with no Severn Toll to pay and no traffic jams on the M4, what would that would do for business and commerce? Of course we'd love to show other people but if the truth got out about this Tony Blair and Gordon Brown would turn it into a subterranean motorway called 'The SM 1' and the place would be ruined. Dan took a not particularly good photo of me on his new camera (see below) (I think it got damaged in the fall). Keep up the good work, left handed hand shakes and all that. PS I have my hands on my hips in every photo - I used to be a Superman stunt-double you see. PPS Your website may take an age to load on my dated dial-up but once its there it's a good'un. I had the soundtrack playing in the back ground whilst I wrote this and it rocks. Awesome discovery! Obviously Jim and Dan are 'no strangers to danger!'. Unfortunately there are still some people (doubting Thomas's) who rather cynically believe that Crowborough Caves (and the until-recently unknown SM1) are a complete fabrication and lie - shame on them!!! As this is a subject we are all very passionate about I've spent the entire night working extremely hard on the attached SM1 White Paper.pdf click here. When the class began, wordlessly he picked up a very large and empty mayonnaise jar, and proceeded to fill it with rocks. He shook the jar gently. The pebbles, of course rolled into the open areas between the rocks. He asked the students again if the jar was full? The professor then picked up a box of sand and poured it into the jar. Of course the sand filled up everything else. He then asked the students yet again if the jar was full? Now said the professor I want you to recognise that this jar represents your life. The rocks are the important things, your family, your partner, your health, your children, and your close friends. The pebbles are the other things that matter, your job, your house and your car. If you were to put the sand in the jar first, there would be no room for the pebbles or the rocks. The same goes for your life. If you spend all your time and energy on the small stuff, you will never have room for the things that are really important to you. Pay attention to the things that are critical to your happiness, Play with your children, take time for a medical check-up, take your partner out for an evening. There will always be time to go to work, clean the house, give a dinner party, and fix the car. Take care of the rocks, the things that really matter. Set your priorities, the rest is just sand. Then one of the students, who already had a degree in geology, was not entirely convinced by this explanation. He took the jar and proceeded to pour a can of beer into it. Of course the beer filled up all of the tiny pore spaces in between everything else that was already in the jar. He asked the students was it full? And they all agreed that it was. Which comes to prove that no matter how full your life is. There’s always room for a beer! Hand-lens, compass, pen-knife, handcuffs etc. tied round neck with string. Ownership of a pet rock (in the case of palaeontologists, this will be their closest friend) often found hanging from keys. Over enthusiasm on the subject of dinosaurs. Someone explaining to airport security that a rock hammer isn't really a weapon. Takes photos, includes people only for scale, and has more pictures of rock hammer and lens cap than of his family. Someone whose lunch consists of rocks, instead of ordinary bread. Someone whose child is trained to know the geological timescale before it can walk. Someone who considers a "recent event" to be anything that has happened in the last hundred thousand years. Someone who licks and/or scratches & sniffs rocks or in case of china clay will eat it to prove its perfectly safe. Someone who eats dirt and claims to be "getting an estimate of grain size"
Someone who will willingly cross the motorway on foot to determine if the outcrops are the same on both sides. Someone who can pronounce the word molybdenite correctly on the first try. Someone who says "this will make a nice Christmas gift" while out rock collecting. Pockets tend to be filled with bits of rock. They have more pairs of walking boots than shoes. They think of woodlice as trilobites but would tell anyone off who said so. They plan extra time on trips to investigate road cuts along the way. Their radioactive ore specimen collection glows in the dark. But I’m so happy I can’t see the point. Make this boy scout shout, make this boy scout scream! Going underground, I’m going underground!